….But, it wasn’t just Obama, according to the prescient Tom Tancredo, writing here in 2013, the subtle change in what we expect of immigrants to America has been going on for more than a decade. Author, and former Congressman Tom Tancredo saw it all coming while “good citizens and patriots were asleep at the wheel.” How frustrating it must be to know Americans weren’t listening (and still aren’t!). In revelations about Obama’s Task Force on New Americans, that we first mentioned here (and noted the love affair with the word “integration”), we begin to see the full-flowering of how Obama and the Socialist Left is changing (or planning to change) every town in America! by planting “seedling” immigrants who will replace you some day. Another word for what they are doing is “colonizing” America—start using that word! (Also you will see in my next two posts how they are already out in the country “integrating” your towns and cities, and the new integration means getting the New Americans signed up for their welfare goodies!). Before I get to Tancredo’s piece, reader Julia sent us these definitions for the words “integration” and “assimilation.” Do you see the important difference? By the way, the average American (or dumb Member of Congress, or dumb Republican Party leader) is going to hear the Obama propaganda about “integration” and think that sounds just peachy. Note that “integration” implies the community must do the the work, must change (you know the focus on soil!) while assimilation implies the work falls on the immigrant to change! Everyone reading this piece needs to start demanding that immigrants ASSIMILATE! Use the word! Better still, it is time to demand a MORATORIUM! Endnote: Ever since we began writing RRW in 2007, we had a category called ‘community destabilization’ to archive posts like this one. It has 928 posts in it, as of this writing. Today we are adding a new category called ‘Colonization’ in addition to the milder-sounding destabilization. ‹ PreviousNewly resettled Iraqi refugee shot and killed in Dallas; was it a random killing by thugs, or something more? Frosty Wooldridge, also from Colorado and a friend of Tancredo, has been sounding the alarm for years… unfortunately his warnings have fallen on deaf ears. 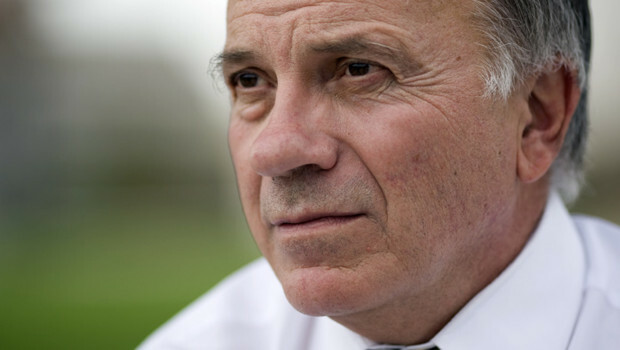 Tancredo is an honest man, far too honest for Washington D.C.
“Everyone reading this piece needs to start demanding that immigrants ASSIMILATE! Use the word!” – Too late. With incoming numbers and birthrates, it will simply mean Whites and their culture ‘assimilating’ away.